Support for vaccination has fallen a little among Americans in the past 10 years, a new survey out Monday finds. While almost all Americans still vaccinate their children on schedule and support doing so, the percentage who say they strongly support vaccination and who are firmly confident in vaccine recommendations has fallen, the survey by Research America found. “This is a flag that confidence is slipping a bit,” said Mary Woolley, president and CEO of Research America, which commissioned the survey. Vaccine rates are high. So are refusals. Most Americans get recommended vaccines, especially children, according to the Centers for Disease Control and Prevention. More than 90 percent of kids under age 3 have had their full series of vaccines against measles, mumps and rubella; hepatitis B, chickenpox; and polio. More than 80 percent are up to date on Haemophilus influenzae; diphtheria, tetanus and pertussis; and pneumococcal vaccines. But pockets of vaccine skeptics have helped cause outbreaks of measles and whooping cough. And it takes vaccination rates of upwards of 90 percent to achieve what’s called herd immunity so that even those who cannot be vaccinated are protected. Research America commissioned Zogby Analytics to interview just over 1,000 people about their attitudes toward vaccination. Asked about their confidence in the current system for evaluating the safety of vaccines and recommendations for when they should be given, 32 percent said they were “very confident” and 45 percent “somewhat confident”, while. 18 percent were not too confident or not at all confident. The same percentage was very confident in 2008, but 53 percent were somewhat confident and 13 percent were not too or not at all confident. Asked if they’d personally benefited from the development of vaccines over the last 50 years, 59 percent answered strongly yes and 28 percent somewhat yes. That compares to 75 percent strongly yes and 15 percent somewhat yes in 2008. And 71 percent said it’s very important for children to get vaccinated, compared to 82 percent in 2008. All this indicates not that more people oppose vaccine, but that there’s more doubt and questioning, Woolley said. “We feel that it is very important to take this seriously,” she told a briefing. The survey found that 45 percent of people do not think the public receives enough information from their doctors about vaccinations. Health experts have been debating how to counter the ever more vocal influence of a small but determined group of people who oppose conventional vaccination. But there’s also a growing number of people who simply have questions, said Dr. Nancy Messonnier, who directs CDC’s vaccine division. “Parents are inundated with information from social media, from their friends,” she added. There’s no one-size-fits all answer, and it’s important not to preach at people, she said. “We need to have local conversations,” she said. Parents need respectful answers to their questions, she advised. “The one thing that never works is saying, ‘You’re wrong’,” agreed Dr. Tony Fauci, director of the National Institute of Allergy and Infectious Diseases. Other experts advise that framing vaccine worries as a debate or fight is ineffective and even counterproductive. And people respond well when they learn that vaccination is very much the norm in the U.S., said Messonnier. 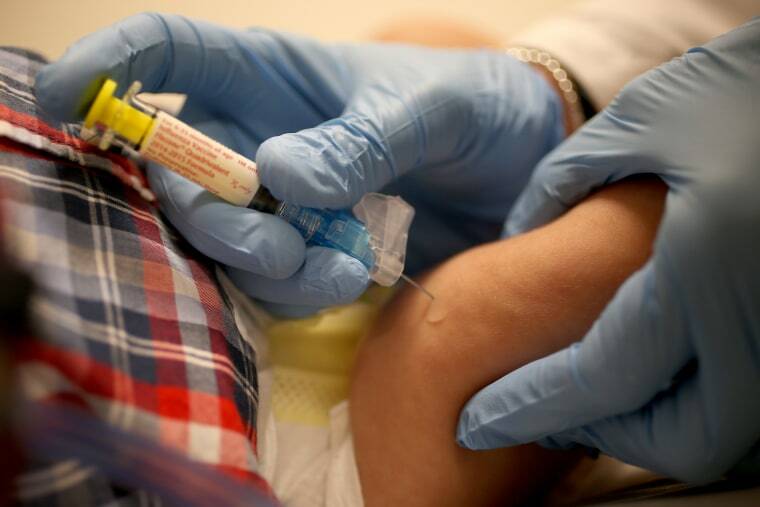 “Nationally, less than 1 percent of toddlers have not received any vaccines,” she said. Parents may voice doubts about childhood vaccines while still immunizing their kids, but uptake of flu shots shows a completely different pattern. The survey found that even though flu vaccines are recommended every year for just about everybody, 53 percent did not get vaccinated against influenza in the last season. Of them, 48 percent said it was because they did not trust the vaccine and 40 percent felt they didn’t need it. Another 26 percent said it wasn’t worth getting a flu shot because the vaccine is not effective. The lack of a highly effective flu vaccine could be feeding people’s doubts about vaccine effectiveness overall, Woolley said. But the survey did not ask people about why they felt as they do. Woolley, Messonnier and Fauci all agreed that medical experts need to do more to help people understand just how much work and research goes into vaccine safety, and to honestly answer questions about vaccines when they come up. "We have a lot of work to do," Messonier said. People’s own personal doctors are the best source of trusted vaccine information, they added.